Buckwheat seeds for sowing Dikul, 9 1 b. 743.35 EUR order from 60 t.
Premixes. Export. 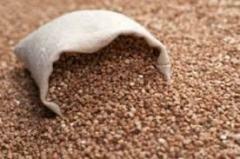 From 1000 t.
0.01 EUR order from 1000 t.
Buckwheat exports, from 1000 t.
Buckwheat for export, from 1000 t.
346.35 EUR order from 5 t.